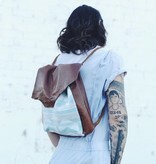 Wild Wanderer Design brown leather and vintage tapestry backpack tote. Perfect day to night bag, converts from a backpack to a tote. 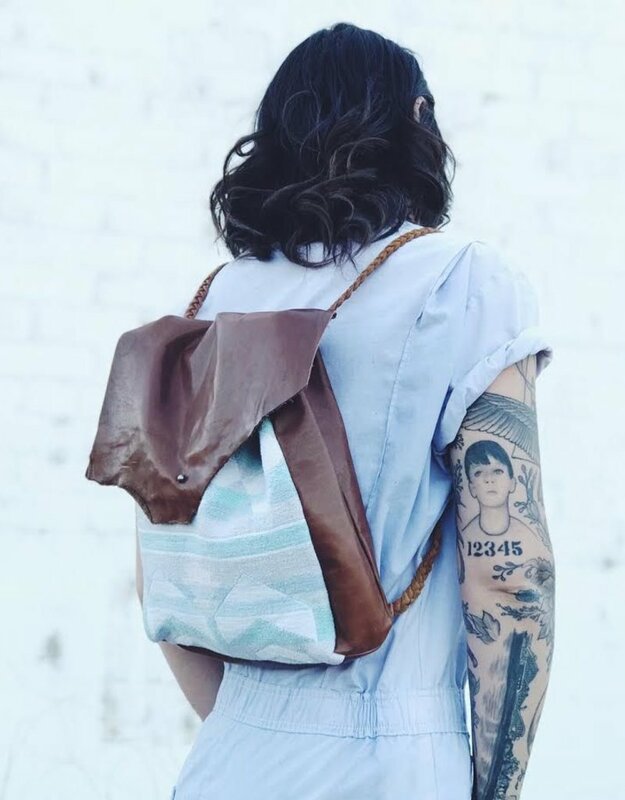 100% real leather and completely handmade with a hand braided strap and interior pocket.